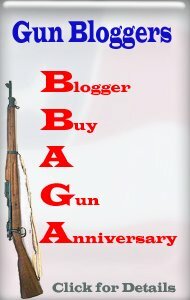 Midway Sponsors Gun Blogger Rendezvous - Save Bucks! As the Gun Blogger Unite this month in Reno Nevada, MidwayUSA would like to extend our special appreciation for what they accomplish in shooting industry. First, we would like for each Blogger to receive a special gift from MidwayUSA when they arrive at the Rendezvous. Second, we would like to extend some exclusive discounts for each of the Bloggers and their respected communities/following to take advantage of. We hope these exclusive discounts help as many people and Bloggers as possible to enjoy the shooting sports industry. Mr. Completely, would you please forward the following promotion codes and guidelines along so that people can start saving on shooting and outdoor gear. 2) Enter the promotion code in the box entitled "Promotion Code" on the shopping cart page. 4) Remember, this promotion code is valid for orders placed on MidwayUSA.com. 5) Limited to one per Customer and one promotion code per retail order. 6) Offer cannot be combined with Birthday, Special or Dealer Pricing. 7) Offer not valid on MidwayUSA Gift Certificates, Nightforce, Sale and Clearance products. 8) Offer valid on regularly priced products only. 9) Hurry, offer ends at 11:59 PM CT September 15, 2010. My final note is that we would like to develop a personal relationship with each of the Gun Bloggers before and after the Rendezvous so that we can continue to support their work. Please let the community know that if they would like any exclusive discounts or support from MidwayUSA to please contact me at the below information. 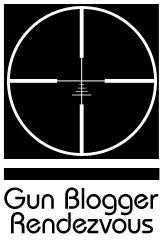 Registrations are still arriving, but here's the list of blogs that will be represented at this year's Gun Blogger Rendezvous. I'm sure there will be more than that, as a lot of folks seem to be waiting until the last minute to register. Of course, this is just the blogs represented. There will also be blog readers, shooters, and gun nuts attending who don't have blogs. It's gonna be big! If you'd like to go and join in on all the fun, there's still time to get on board. Here's what you need to do right away. 1. Download the Registration form and fill it out. email me the information on the form in whatever manner you like. Bring your $30 per person registration to the Rendezvous and I can complete the process in Reno. 2. Contact the Silver Legacy at 800-687-8733 and give them the group code of GBLOG10. Their room rates are reasonable, and considering that the room rates include the use of the Hospitality Room for the Rendezvous and free Internet for everyone, it's a pretty good deal. Yes, there are cheaper places to stay in Reno, but I really recommend staying at the Silver Legacy. You miss out on quite a bit if you aren't actually "On Site" for the Rondy. Get registered, book your room, come to Reno, shoot stuff, eat too much, have fun! What more could you want? It may sound kind of contradictory, but I had a grand time at the two day Glock Classic this last weekend, even though my true indian name is "Sukswithaglock". Once a year I drag out a couple of Glocks and reconfirm what I already know, I should never shoot an iron sight gun in public! Even though my score wasn't much to write home about, I had a lot of fun running stages, keeping score, and helping new shooters. I even got a really cool Glock Range Officer shirt and hat. Is that cool or what! Lots of credit is due to Glock for getting behind these matches and donating so much stuff for the prizes. Yes, you do have to join GSSF, and you do have to shoot a Glock, but that's the whole idea. It's all about Glock, by Glock, and for folks that shoot Glocks. Kudos to Glock for putting these on! Glock even has a Glock Armorer on hand to go though your Glock and replace anything that's getting worn or needs to be updated, all at no charge, either! The only thing they won't replace is the frame, slide, or barrel. If the armorer doesn't like the looks of anything else, you get a new one free. Very nice. If you see a Glock Match coming up in your area, go give it a try.I think you'll have a lot of fun. Here's the schedule for the upcoming Glock Matches. For more information, check out GSSF On Line. Escambia River Muzzle Loaders, Inc.
Go check them out, you might just have a ball, and meet some nice folks while you're there! There won't be any blogging going on for the next two days as I'm heading over to the Kitsap Rifle and Revolver Club to help them with the big Glock Northwest Glock Classic match. I'll be RO'ing and filling in wherever I can lend a hand for both days. I will also shoot the match in two classes, "Civilian" with a Glock 17, and "Unlimited" with a Glock 34 with a red dot sight on it. This is the one match a year where I re-prove to myself that I should never try to shoot for accuracy with anything that has conventional sights. The G34 with the red dot, I can actually hit things most of the time, albeit slowly. With the G17, definitely not so much. I'll be spending Saturday night at the range in the RV. KeeWee is staying home, and weather permitting, is planning on catching up on the gardening. I just got an email from Derek, chief cook and bottle washer over at the Packing Rat blog, and he tells me he's donating a Venturi Bronco air rifle for the Gun Blogger Rendezvous raffle. Derek reviewed the rifle on his blog a while back, and Here's Derek's review. For more information ,specs, and a video demonstrating the rifle, check out the PyramidAir website. Thanks, Derek, and we'll see you in Reno! You gotta be there to win! BEAVERTON, Ore. “ To help hunters get on target at any range with any load, Leupold® offers the Custom Dial System® (CDS) feature for VX-3® riflescopes. The CDS allows shooters to match their scopes with the ballistics of their ammunition. With the purchase of any CDS model VX-3 riflescope, shooters receive two customized, ballistically matched adjustment dials at no extra cost. This is a special offer that ends December 31, 2010. Send Leupold the ballistics data and shipping information, and the company provides two dials custom built to match the specified calibers, bullet weights and loads. Leupold® has launched a microsite to educate hunters and shooters about the Custom Dial System® (CDS) feature for VX-3® riflescopes, and highlight a limited-time offer. The microsite is located at www.leupold.com/VX-3CDS. CDS helps hunters and shooters get on target at any range, with any load, by matching their scopes to the ballistics of their ammunition. With the purchase of any VX-3 CDS riflescope, shooters receive two customized, ballistically-matched adjustment dials ($100 retail value) at no extra cost. This is a special offer that ends December 31, 2010. Visitors to the VX-3 CDS microsite will find an educational video and graphics, an overview of how the system works and its advantages, and more details on the offer. The CDS is available on the following riflescope models: VX-3 3.5-10x40mm, VX-3 3.5-10x50mm, VX-3 4.5-14x40mm, VX-3L 3.5-10x50mm and VX-3L 4.5-14x50mm. For additional information, go to http://www.leupold.com/VX-3CDS. CDS dials change out easily, allowing shooters to quickly adjust to different loadings. With precision ¼-MOA click increment finger adjustments, and no adjustment covers to lose, the CDS makes VX-3 riflescopes even more accurate and rugged. · Custom calibrated turrets allow hunters to quickly dial in elevation for first shot hits. No more need to tape ballistics tables to the rifle stock, and no more missing out on a trophy due to mistaken holdovers or miscounted clicks. · Dials can be quickly changed out by loosening set screws. Shooters can match their dials to the specifics of their ammunition. For example, a .30-06 can have a calibrated dial for a 150-grain mule deer load and another for a 200-grain elk load. · Unlike most bullet drop compensating turrets, which are only available in the most popular calibers and bullet weights, the Leupold CDS allows shooters to obtain dials calibrated to whatever caliber, bullet weight, or charge they desire. It doesn™t matter if it™s a .222 Remington or a .444 Marlin, the CDS is set to the specific ballistics. · Leupold CDS riflescopes are ideal for handloaders who demand the ultimate performance from their rifle and ammunition. Each dial is calibrated based on shooter-provided ballistics data, allowing users to set their scope to the load a particular rifle likes the best. Many bullet drop-style scopes come in œranges� with multiple turrets that may or may not match the specific loading. With the CDS, shooters have only the dials they need, without unneeded extras to loose or store. Leupold matches the CDS to exact data for the utmost in accuracy. Other bullet drop turret scopes are approximate to a generic factory load, such as a 68 grain .223 Remington. The VX-3 CDS, however, is calibrated to the unique ballistics data of that bullet fired out of a 16� barrel as compared to one fired from a 22� barrel. Leupold & Stevens, Inc., the preeminent American-owned and -operated optics company, employs more than 600 people in its state-of-the-art facility near Beaverton, Ore., where rugged, dependable, high-performance Golden Ring® optics are designed, machined and assembled. Leupold is a fifth-generation, family-owned company whose products are sold worldwide to hunters, competitive shooters, American military warfighters, law enforcement personnel and wildlife observers. 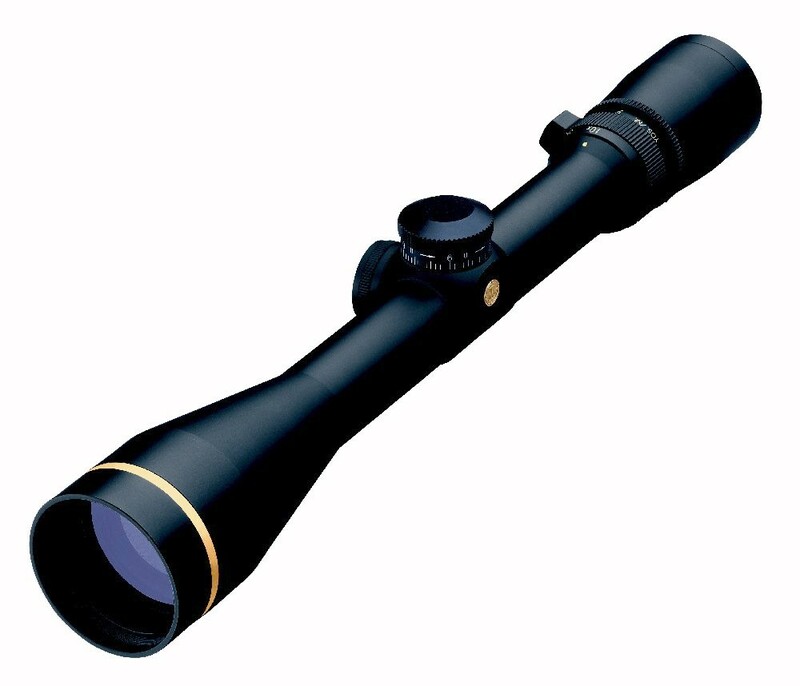 The product line includes rifle, handgun and spotting scopes; binoculars; rangefinders; flashlights; mounting systems; and optical tools and accessories. Although I am sworn to secrecy (actually I'm just supposed to keep my mouth shut) I have an announcement of a announcement. HUH?? At this year's Gun Blogger Rendezvous the head of a major internet start up endeavor will be announcing something new and big and cool! It will involve the internet, guns, shooting, hunting, shooting sports, forum-ing (is that a word? Should it be? ), 2nd. Amendment Issues, blogging, and a lot of other stuff too. I've had the chance to spend some time with the head of the project, and it looks like it could be something of a game-changer. If you are at the Rendezvous you will be one of the first to know, and possibly even contribute some feedback. If you are lucky, you might even get a shirt or a belt buckle. Thursday morning we were oft to the range, perhaps a half hour drive from Valencia West on the Ventura highway to Piru, then seven or eight miles up the valley to the range. By the time we reached the range it was already starting to get hot. It was going to be a hot day. They provide3 bottled water at each stage for the shooters, so I figured if I drank lots of water and kept in the shade as much as possible I'd be OK. Unfortunately I didn't take into consideration that if you drink enough water and sweat enough, your electrolytes can get seriously depleted. Hey, I'm from Washington State! What do I know about hot weather. Mold, mildew, rain, that I know about. Heat, not so much! My match plan was to shoot the first two stages conservatively and not make any mistakes. I didn't want to put myself in a hole early and spend the rest of the match trying to make up for it, which usually never works. I figured I'd be better to use a little extra time early, then let the tempo build as the day wore on. That was a good plan, and the first stages went as planned. The next few stages I pushed a little harder and started getting better times. On about the fourth or fifth stage, though, I started struggling. I just couldn't seem to quite get up to speed. I didn't blow any stages badly, but I just couldn't turn it up at all. I was also starting to get a headache and wasn't feeling to well. I was even getting a bit fuzzy headed. Not a lot, but a little. I had also stopped sweating. I was still drinking water, though, so I figured I'd just "Cowboy Up" and get through the match. What I didn't realize at the time was that with lots of water going in, and the lots of water and electrolytes going out in perspiration, I was getting low on salt, potassium, and stuff like that in my blood stream. Generally not a good thing! Unfortunately I was just fuzzy headed enough that it didn't dawn on me at the time. By the last two stages I could tell that something was wrong by the way I was shooting, but I couldn't tell if I had changed something in technique, or what was going on. I struggled through the last stages trying to not make any big mistakes, even if my times were a bit slow. Soon the match was over, and we climbed into the car for the drive back to the hotel. I stopped at a small grocery store in Piru and bought a couple of bottles of Poweraid to drink on the drive back. By the time I was at the hotel I felt a little better, but not all that great, so I turned the air conditioning all the way to max cold and took a nap. A couple of hours later I felt better, but it wasn't until the next morning that I really felt back to normal. Friday morning we had a leisurely breakfast at the hotel and then headed back to the range to be spectators. We particularly wanted to watch Molly Smith and Ryan Leonard shoot. When we got to the range they had the rimfire results posted, and I hadn't done as badly as I had thought, and my "Don't make any big mistakes" approach had worked well to keep me from really trashing my score. The final scores for the rimfire world championships showed 86 total shooters. Ryan Leonard, a junior shooter from Portland, Oregon, had beaten all of the pros, winning first overall! Good for Ryan!! Ryan then went on to win Top Junior in both the Optic Sight and Iron Sight divisions, too. I showed up in 35th place overall, but that was good enough to win the top spot in the rimfire Super Senior division. Rimfire Super Senior World Champion - WOO HOOO! Being old does have some advantages, but not a lot. To see all of the results and times, click here. Ryan Leonard. You think he's having a good day? L to R. Phil Strader, JJ Racaza (behind Phil) Angus Hobdell, JJ's Dad, Rob Leatham, and Dave Sevigny. WOW! Tod Jarrett on Outer Limits. Angus, JJ, JJ's Dad, and Dave. Phil Strader, a Range Officer ( I forget his name), and JJ. Angus, (not sure who's behind Angus), BJ, Rob, JJ's Dad, and Dave. Molly's ammo box. Molly is also a blogger, at The Molly Minute. If you'd like to meet Molly in person and watch her shoot, she'll be there at the Gun Blogger Rendezvous. You ARE going, aren't you? Molly showing why she's sponsored by Smith & Wesson! One of the Japanese shooters. I didn't get his name. Some beautiful workmanship on one of the Glocks brought to the match by one of the Japanese shooters. After the Friday shooting we headed back to the hotel for the match banquet and socializing, sponsored by NSSF. The dinner was a lot of fun, and we got a chance to visit with a lot of the shooters. After dinner we got everything packed up for our Saturday morning flight back home. From there on, the trip home was uneventful, which is just as I like it. e-Postal Matches - Shoot 'em BOTH This Weekend! Yup, this weekend you can head out to the range and shoot both e-Postal matches, as True Blue Sam has the September match underway. You'll like Sam's match, particularly if you'd enjoy taking out a few coyotes, but be careful, don't shoot the rooster or the hen house! Here's the link to the September match, and Here's the link to the August match over at Curtis Lowe's blog. Go print out the targets and rules, gran your friends, and grab lots of guns and ammo, then head out to the range to shoot the matches. Don't forget, one lucky entry will win a $50 Gift Certificate from Cheaper Than Dirt, and it's awarded by random drawing from the entries, so how well you score doesn't matter. The first time shooter's entry is just as likely to win as anyone else! Be safe, have fun, shoot 'em up! Being as KeeWee and I live on an island out in Puget Sound in North Western Washington state, going anywhere at all involves a number of connections. To get to the Steel Challenge World championships last week in Piru, California was no exception. We started out by having our neighbor drive us a short distance to the local shopping center where we boarded the Whidbey SeaTac Shuttle for the trip across Puget Sound by ferry, and then an hour and a half drive to the SeaTac airport. Once at the airport we checked in at Alaska Airlines and declared the race guns in our luggage. That went fairly straight-forward, which was nice, as it doesn't always work that way! We boarded the flight to Burbank, and it actually left on time. Thanks to a tailwind on our way South we actually arrived in Burbank a few minutes early. The weather was clear for most of the flight South, and our path took us close to both Mount Rainier and Mount Adams. Once we arrived in Burbank we picked up our rental car for the drive to Valencia, California. Valencia is best known for the Six Flags Magic Mountain theme park. Valencia is roughly thirty minutes due North from Burbank, straight up Interstate 5. At the rental counter they asked me which model I would like. Since I had rented a PT Cruiser once and liked it, I asked for something similar. They offered me a little KIA SUV, or a Chevrolet HHR (HHV? HVR? Don't remember) Anyhow, it was, she said, very similar to a PT Cruiser but a little bigger. It was all black and it looked a bit like something Batman would drive, if he drove a mini-van! Actually, it turned out to drive pretty nicely, and wasn't to bad on gas or power. The drive from Burbank to Valencia was fairly uneventful, except for on car that stopped at the red light just before the freeway on ramp, then decided to drive through the red light to get on to the freeway, rather than waiting for the green light. Fortunately the driver on the cross street was paying attention and managed to avoid T-boning the moron that ran the light. Once we were checked in at the hotel in Valencia, we walked next door to the restaurant for a late dinner, as it was coming up on 9pm. After dinner it was back to the hotel for getting the gear ready for the next day's shooting. Once everything was ready to go, we turned in for some sleep. The next day was going to be a long one! 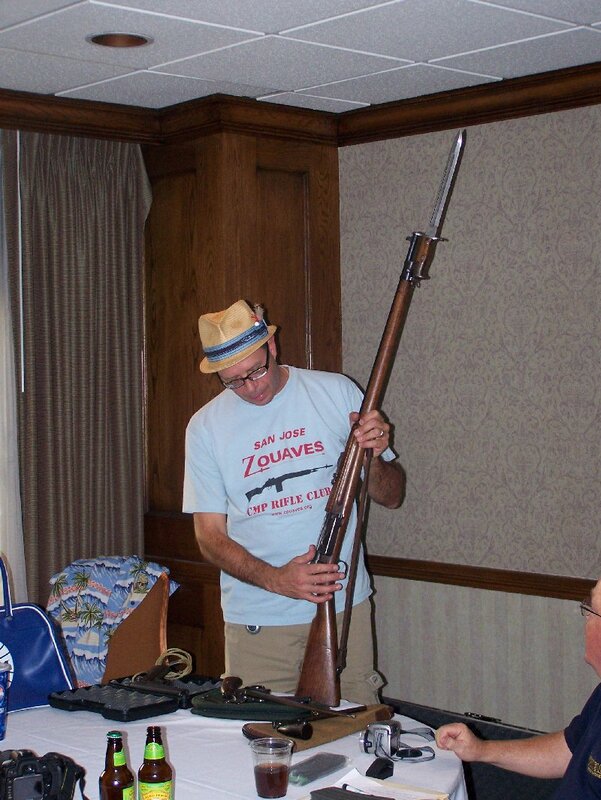 It was kinda sad to hear that Maj. Chuck Zigenfuss, the founder of project Valour-IT, won't be attending this year's Gun Blogger rendezvous. The reason is that Chuck's been transferred to Hawaii, which is great news, and I hope he's having a good time over there! We'll miss Chuck at the Rondy, but maybe next year! Toby is very involved with Project Valour-IT, and he handles the purchasing of the laptop computers for them. Toby is also a Mil-Blogger, an author, and is one of the principals in the Frontline documentary "Bad Voodoo's War". If you're kinda on the fence about coming to this year's Gun Blogger Rendezvous, then here's an excellent reason to get off the fence, send in your registration, and book your room at the Silver Legacy. Come help us, and Sfc. Nunn, to raise money to buy voice actuated laptop computers to be given to our injured servicemen who, due to the nature of their injuries, are unable to email and communicate with their family and friends using a computer with a keyboard. This is going to be the very best Gun Blogger rendezvous ever, and you REALLY don't want to miss it! 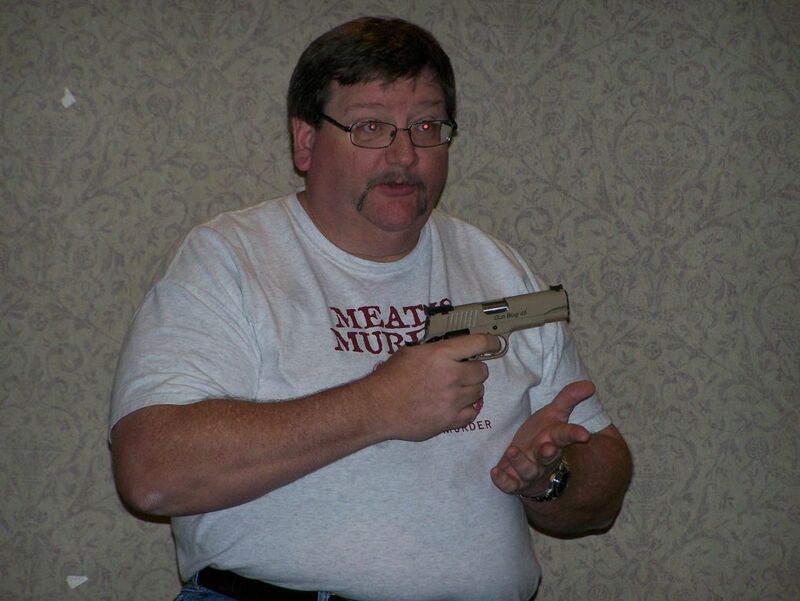 What Guns To Take To The Gun Blogger Rendezvous? Some of last year's "Show-and-Tell"
Since guns are a major component of the Gun Blogger rendezvous, the question of what guns should you take is a good one. The short and tongue in cheek answer is "All of them!" More realistically, we will be at a public range on Friday with paper targets from 25' out to 600 or 700 yards, so anything you enjoy shooting is fine. On Saturday we will be shooting an "Introduction to Steel Challenge" with hand guns, so just about any hand gun works here. Very high power and magnum handguns should not be used for the steel, but at the Friday range they are OK, and even encouraged! For the Steel Shooting you should bring at least 150 rounds, 200 is better. Rimfire pistols are good for steel too, and you can shoot more than one gun if you want. There will also be the opportunity to shoot other stuff than you own. 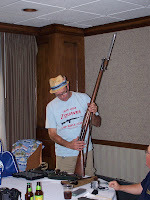 On Friday there is a Show-And-Tell at the Hospitality Room at the hotel where you can show and tell about anything interesting and unusual that's either firearms or firearms related, including guns. Just about everyone has something interesting, unusual, rare, or strange in their gun safe! For the Cowboy Fast Draw shooting on Sunday everything will be provided, but you could bring your own cowboy hat and boots! For concealed carry be sure to check Nevada's reciprocity, as they aren't very "Out of State" friendly. Who Will Win The Steel Challenge ? Vote Now! It's my favorite kind of poll, where you can vote as often as you want. I was thinking how much fun it would be if we got the Gun Bloggers behind a movement to swamp the ballot box with votes. If you swing by their poll spot here you can vote for all your predictions. It's also interesting to see the names of the shooters who will be competing. It's truly a "who's Who" of the action pistol community. If you are so inclined (hint) to vote (hint) for me (hint - hint) you will find me down near the bottom of the poll in the Senior Division listed as "Mike Gallion", a pseudonym often used by Mr. Completely in shooting matches. Bloggers, how about a mention in a post to see if we can drum up some votes? It might be the only way I can beat those guys! To see how the results are going in the Senior Division, Click Here. Man, what a morning!For the last two days I've been getting all of the final loose ends taken care of so I could leave today for Piru, California and the Steel Challenge World Championships. Fortunately, only a couple of hours before KeeWee and I were going to board the shuttle bus to take us to the airport I got an email from Paul Erhardt telling me that he had read my blog post, and that the Championships were NEXT week, not this week. Somehow, way back in January, when I wrote all of the match dates on the calendar the dates for the Steel Challenge Championships got written down wrong by one week. No idea exactly how I managed to do that, but apparently I did. What's amazing, though, is that no one noticed. Fortunately Paul spotted it and sent me an email. I've spent the morning changing the reservations for the airport shuttle, the flights, the rental car, and the hotel in Valencia. Believe it or not, every change went smoothly, and everything is now set up for the correct week! WHEW! I think I've got a pretty good idea where Murphy spends his Summer vacation! 8:30 am. Leave the Silver Legacy "Silver Baron B" Hospitality room for one of the restaurants for breakfast. 2:30 pm. Leave the Hospitality Room to car pool to Cabela’s. 3:00 pm – 5:00 pm. Guided tour Cabela’s and browsing/shopping. Pick up munchies and soft drinks on way back to hotel. 6:00pm. Leave the Hospitality Room to go to dinner. Location to be determined later. Thursday Evening until midnight: Refreshments and conversation at the Silver Legacy Hospitality room. Bring your own refreshments and munchies. 8:45am. Leave the Silver Legacy Hospitality room to car pool up and head out to the Washoe County Shooting Facility, the Pyramid range for rifle and pistol target shooting out to 900 yards. 9:30am – 2:00pm. At the range. 3:00 pm. – 5:45pm. Show-N-Tell at the Silver Legacy Hospitality room. 6:00pm. Leave the Silver Legacy Hospitality room to go to the ground floor to Gecko’s BBQ Restaurant for dinner. Friday Evening until midnight: Refreshments and conversation at the Silver Legacy Hospitality room. Bring your own refreshments and munchies. 8:00am. Leave the Silver Legacy "Silver Baron B" Hospitality room for one of the restaurants for breakfast. 8:45am. Leave the Silver Legacy Hospitality room to car pool up and head out to the Washoe County Shooting Facility, the Pyramid range for an introduction to Steel Challenge Action Pistol shooting. 6:00 pm. NSSF all you can eat pizza feed at the Silver Legacy Hospitality room. After dinner will be the fund raiser raffle for Project Valour-IT and the drawings for the door prizes. Saturday Evening until Midnight: Refreshments and conversation at the Silver Legacy Hospitality room. Bring your own refreshments and munchies. 7:30am. Leave the Silver Legacy "Silver Baron B" Hospitality room for one of the restaurants for breakfast. 8:15am. Leave for the Cowboy Fast Draw Blogger Match. 9:00am – 11:00am. Cowboy Fast Draw Shooting. The Cowboy Fast Draw shooting is the last scheduled event for the Gun Blogger Rendezvous, but many attendees will be staying Sunday night and returning home on Monday. The Reno Balloon Races, Virginia City Camel Races Festival, The Reno Car Museum, the Downtown River Walk, the new Reno Museum, and a number of other things should be considered for the rest of the day on Sunday. As you can see the days and nights are packed with activities from start to finish. If you haven't registered yet, time is running out, so you better get on it right away! Steel Challenge Championships - Off we Go! Tomorrow KeeWee and I board a shuttle bus for the ride from Whidbey Island to the Seattle-Tacoma International Airport, AKA SEATAC, for our flight to Burbank, California. Once in Burbank we will rent a car and drive about a half an hour North to Valencia, California, where we will be spending Wednesday, Thursday, and Friday nights. On Thursday I will shoot in the Rimfire Division Steel Challenge world Championships. Friday KeeWee and I will hang out at the range and watch the competition. Friday evening is the Steel Challenge Dinner at the Hotel, and Saturday morning we fly home. I may or may not get much chance to blog from California, but I will have my netbook with me, so it's a possibility. Thanks almost entirely to the efforts of True blue Sam, I'm happy to announce that the Gun Blogger Rendezvous has another sponsor. The final details have not been worked out, but it looks like Lori Petoske, the Marketing Communications Manager for Sturm, Ruger & Co., Inc. Will be joining us for most, if not all, of this year's Rendezvous. Lori will be traveling all the way from Enfield, Connecticut to join in on the fun. Lori mentioned in her email and phone call that she's looking forward to meeting the gun bloggers in person, so if you are thinking about attending but haven't decided, here's one more great reason to come join us in Reno at the Rendezvous. Get your Rendezvous Registrations and room reservations in ASAP. How many of you own at least one Ruger? I thought so! Two? Three? More than that? That's what I figured! There's a lot of Rugers out there! I think my favorite's the Super Red Hawk .480, but it's really hard to choose. What's your favorite Ruger? Yakima Steel Match - Big News! What a view from the range! I just returned from shooting this month's Steel Challenge match at the Yakima Rifle & Pistol club's range just East of Yakima, Washington, and I've got some great news! Next month on Saturday, September 4th., they will be putting on their first annual eight stage "Really Big" Steel Challenge Classic match. This news is so fresh, they haven't even decided on the official name for their big annual match yet! As soon as the name is finalized I'll let you all know! The match will be at the club's regular range, approximatelys ten miles East of Yakima, and a couple of miles East of the town of Moxee, at the end of Sun Target Road. It's easy to find. The range has places where you can park your self-contained RV or camper, and flush toilets and running water are available. There is a large club house, a full time range master and grounds keeper, lots of irrigated lawn, and a spectacular view across the valley from the range. 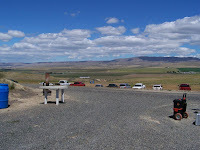 There are lots of places to stay in Yakima if you are more oriented towards a motel. A match motel has not been designated, at least not yet, but Yakima is full of restaurants and motels, so a place to stay should be no problem. The temperatures should also be really comfortable, and certainly not too hot! The match will be all eight Steel Challenge stages, and the rules governing the match will be out of the Steel Challenge rules book. There will be cash prizes instead of a prize table, and the payouts will depend on the number of entries in any given class. Entry fee will be$40, if I remember correctly. It's roughly a 3 1/2 hour drive from Seattle, and it's freeway almost all the way. I'd suggest driving over on Friday and spending the night either at the range or in Yakima. I would highly recommend making the effort to come to Yakima for this match, it's a great facility, a great club, and a really fun bunch of folks to shoot with. Come on over, you'll have a great time! New e-Postal Match is Underway! Anyhow, this month's e-Postal match is underway over at Curtis Lowe's blog, so go print out the targets and a copy of the rules, grab lots of stuff to shoot and lots of ammo, and head on out to the range. In fact, drag along your buddy and his guns too, and shoot them too! Last month's entry numbers were down a bit, so lets pick it up a bit this month! Here's where you need to click to be transported, almost as if by magic, to where you need to go! It's Friday morning, and I'm just getting everything loaded up in the RV to head over to Yakima for the last steel match before the Steel Challenge world championships next week in California. Unfortunately Keewee has to work and can't make this trip, but I suspect she's due for a short break from shooting, anyhow! KeeWee and I left for Coeur d'Alene, Idaho last Friday morning, and about six and a half hours later we pulled in to the Range grounds near Fernan, idaho, where we would spend the night. 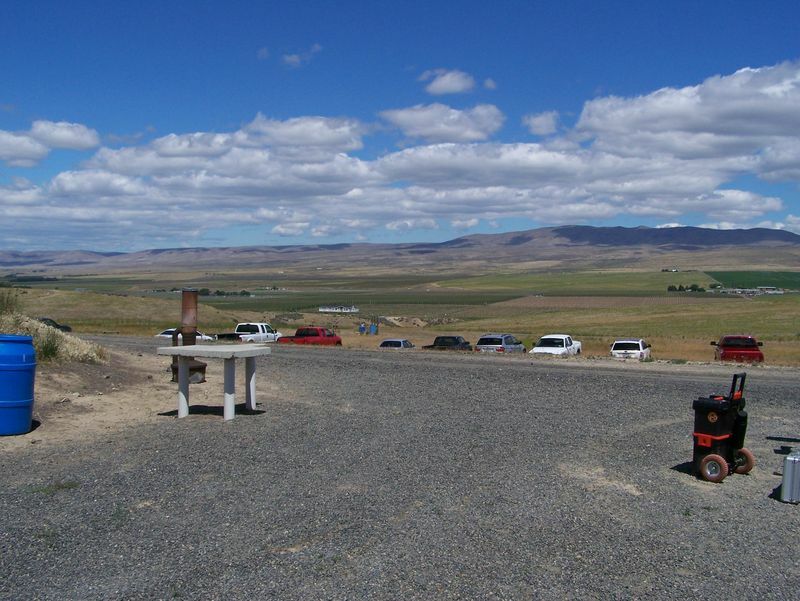 The range is situated in a beautiful valley in the midst of Idaho mountains and wilderness. The scenery is spectacular, with mountains rising straight up from the valley floor. When we parked at the range for the night after our drive to Idaho, the Toyota motor started to idle really rough. At any throttle position above idle it ran perfectly. I figured that even though I had cold tanked the carburetor when I rebuilt it several thousand miles ago, perhaps a small piece of junk hadn't come loose, and now it had decided to block one of the idle passages. The new carburetor cleaner solutions, thanks to the EPA, aren't nearly as effective as they used to be, so that's entirely possible. Anyhow, it was still running, and it should still get us home, even if it didn't idle very well. Saturday morning dawned partly cloudy, and there had even been a little rain and wind during the night. The forecast was for a bit cooler than average temperatures, and that would sure be nice, as it can get miserable from the heat at the Fernan range. As folks started arriving, it was great to see and visit with folks we hadn't seen since last year. We attended a short shooters meeting, and then it was off to the races, so to speak. We were on a squad with a great bunch of folks, including the to young lads who had shot so well a few of weeks ago at Yakima, and their proud father. The match went smoothly, and after the first four stages were completed we broke for lunch. After lunch we shot the remaining stages. It seemed like the match went quickly. After the match we gathered in the large covered shooting area on the rifle range and waited for the results to come out. As we were waiting, Mel and Chris Byrne, proprietors of the the Anarchangel blog, now new residents of Sand Point, Idaho, pulled in. Sand Point is not too far from the range, so they stopped by for a visit, and for dinner after the match was over. We visited for a while, and then the awards presentations began. I had shot the match fairly conservatively, and tried really hard to make sure I didn't try to shoot too fast and end up slower because of having to take follow-up shots, or worse yet, take a penalty for a missed plate. KeeWee shot a solid match, with only a few bobbles along the way, but nothing major. When the results were announced, it turned out that I had the second fastest score of the day, but the fastest score was also shot by a rimfire shooter, I ended up 2nd. in Rimfire, and Top Super Senior. The shooter that beat me, however, was 44 years younger than me, so we'll see how fast he is 44 years from now! KeeWee was 7th in Rimfire, and was the Top Lady overall. After the awards we fired up the RV and followed Mel and Chris to the Wolf Lodge steak house on Highway I-90 just East of Coeur d'Alene. If you are ever in the area, this place is an absolute must. It was one of the best steaks I've ever had. Be sure to make reservations if you can, as the place is packed. After a great dinner and dinner conversation, we fired up the RV to head home, or at least, get as far as we can, so we can complete the drive on Sunday morning. To my surprise, it fired right up and idled perfectly. Apparently the piece of junk had dislodged itself, and things were back to normal. WHEW!